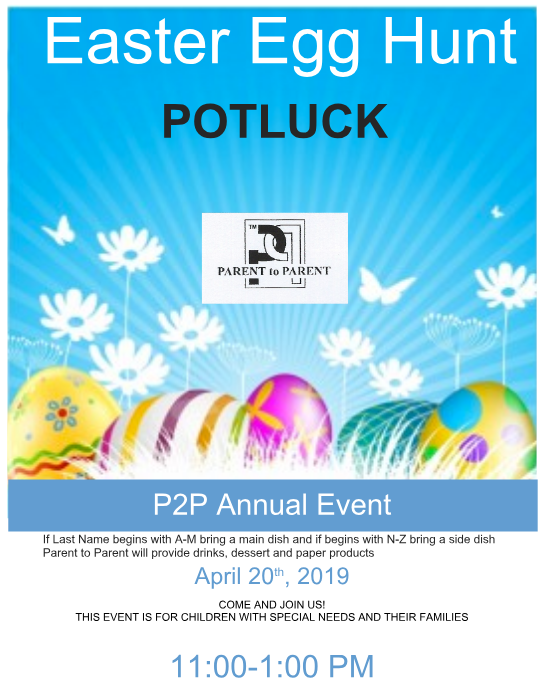 Join us for an Easter Egg Hunt and family potluck celebration. Please RSVP (green button at top) so we know how many eggs to fill. Parent to Parent will provide water, plates, napkins, and utensils.